Roger James Clark, beloved husband, father, grandfather, brother and uncle, passed into God’s hands on Tuesday evening, November 20, 2018, after a valiant battle with cancer. He was born August 9, 1942 in Flushing, NY to James V. and Dorothy Corton Clark, the oldest of 3 children. While growing up on Long Island he earned the rank of Eagle Scout. 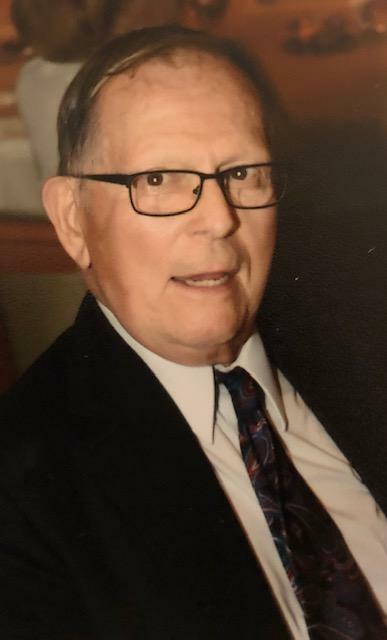 He graduated from Port Jefferson High School in June 1960 and from Clarkson College (University) on June 7, 1964 with a BS degree in Chemical Engineering. It was there in Potsdam, NY that he met his future wife, Barbara Ann Clark. They were married on April 10, 1965 in New Hartford, NY. Immediately after graduation, he began a 30-year association with IBM in Owego, NY. He was especially proud of his work there with the team that developed the technical support that put our first man on the moon. In 1970, he transferred to IBM Burlington. His career was interrupted for 2 years to serve his country as a 1st Lieutenant in the Army Corps of Engineers, including a 1-year tour in Vietnam from 1966 – 1967. He retired from IBM in 1992 and devoted his time to managing his investments, developing his property in East Montpelier, and spending time with his grandchildren. Roger was predeceased by his parents, a niece, Debra Bergman and a grandson, Mackenzie Clark. He leaves behind his wife, Barbara Cook Clark, four wonderful children, daughter Carolyn Adams and husband Brent, sons Stephen J. Clark and partner Jayne Placey, Jeffrey S. Clark and wife Jean-Marie and Scott A. Clark, nine beloved grandchildren, Fiona and Shannon Adams, Arabella and Chase Clark, Sawyer and Simone Clark and Aidan, Zachary and Hunter Clark. He is also survived by his brother Wayne Clark and wife Joan, his sister Jaime Murphy, and several nieces and nephews. Roger was happiest spending time with his family, especially Florida vacations and Christmas Eve. His interests included hunting, fishing, gardening and traveling. He enjoyed keeping busy with varied projects on his two properties, volunteering for the Vermont Mozart Festival and the Underhill Harvest Market. He and his wife began square dancing in 1973. He enjoyed the festivals, conventions and the many good friends made over the years as a member of the Green Mountain Steppers and the Lake Champlain Squares. Calling hours will be held on Friday, November 30 from 2:00 pm – 5:00 pm at the Corbin and Palmer Funeral Home, 9 Pleasant Street, Essex Junction. A celebration of his life will be held on Saturday, December 1, at 11:00 am at the Jericho Methodist Church on Route 15 in Jericho. If you would like to honor Roger’s life please consider a gift to the UVM Cancer Center, The McClure Miller Respite House in Colchester, or COTS. Roger’s family wishes to extend our sincere thanks to those who have provided us with loving support during this difficult time, especially the staffs of the Cancer Center, Emergency Room, Respite House and Hospice.